St. Ann on Wed. April 10th at 7:00 pm. in the Easter Flower Memorial. Envelopes and more details can be found at the Welcome Center. Deadline to have them included on the list is this Sun., April 14th. Enjoy fellowship while volunteering. Refreshment will be provided. 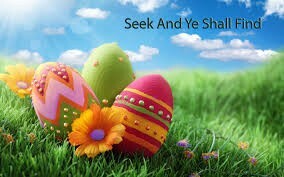 This Sunday, April 14th after Mass we will have everything needed to fill plastic eggs with the donated candy. donations of candy and time. FISH FRY ON FRIDAY 4/12/19 FROM 4:30 - 6:30 at Our Lady of the Lake. Following dinner, Bishop Bradley will lead Stations of the Cross at 7:00 pm.